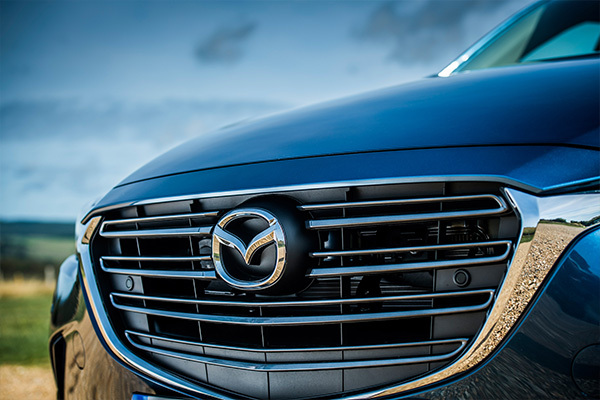 As stated in the Sustainable Zoom-Zoom 2030 vision, Mazda is striving to solve issues facing people, the earth and society. Part of this long term vision is to reduce the carbon dioxide emissions from a well-to-wheel perspective, considering emissions over the vehicle´s entire life-cycle. 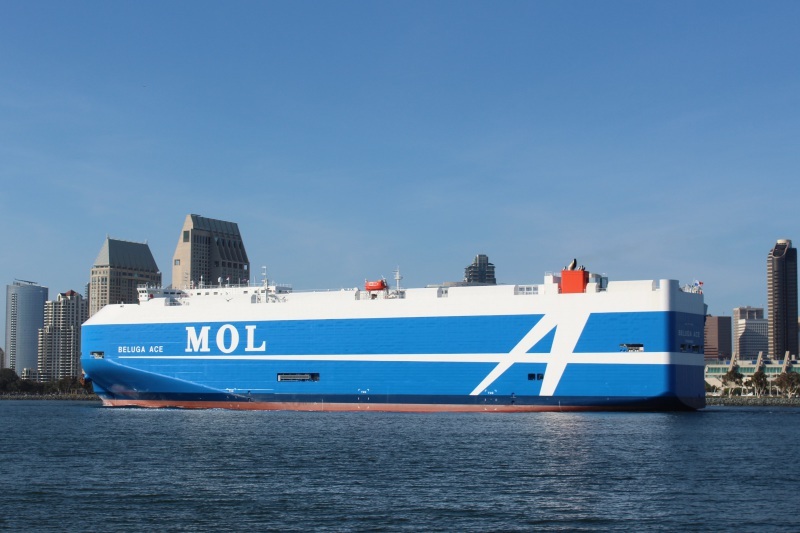 So it’s great news that our new vehicle logistics partner MOL shipping has launched its newest ship: a vessel that reduces CO2 emissions through optimised loading and the latest in marine technology. 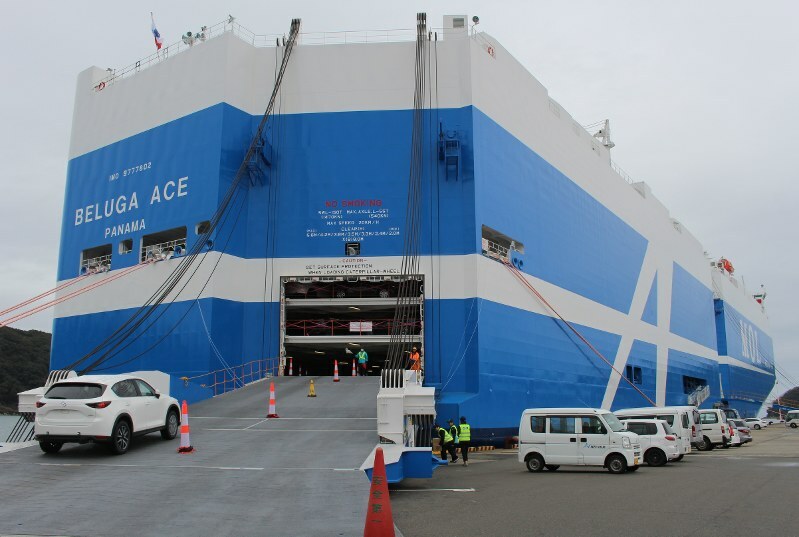 The term “car carrier” means a cargo ship designed and built especially to transport various types of self-propelled cargoes, from passenger cars to construction machinery. 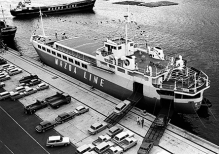 This type of ship was invented in Japan and Tokyo-based MOL was the first company to launch a car carrier in 1965. For more than 130 years, MOL has been shipping cars and other goods worldwide. When MOL introduced their newest ship, full of the latest technologies, Mazda Corporation cooperated to produce a film at a harbour near Hofu plant, to show what is possible with optimised logistics. 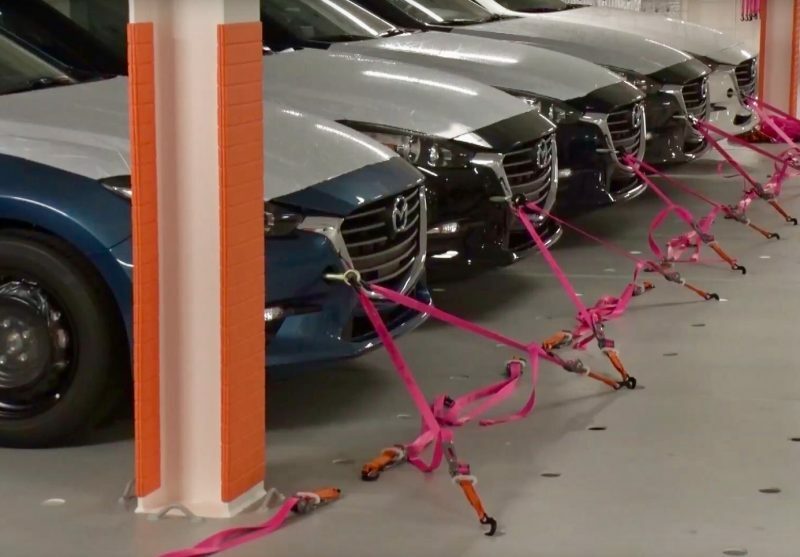 The new vessel marks a major advance in functionality, with six liftable decks, compared with only two on conventional car carriers. This allows the new ship to more effectively meet demand for vehicles and heavy cargo transport. With a length of almost 200 meters and a width of 32 meters, the newest MOL ship holds up to 6,800 Mazda6 models. The streamlined, rounded bow shape of the vessel minimizes wind resistance and is expected to reduce CO2 emissions by about 2% compared to today’s car carriers. Also, optimized water flow around the propeller is improving propulsion efficiency. Combined with new engine technologies such as automatically adjusted fuel injection timings etc., the overall CO2 emissions are 13.7% lower than those of conventional vessels. 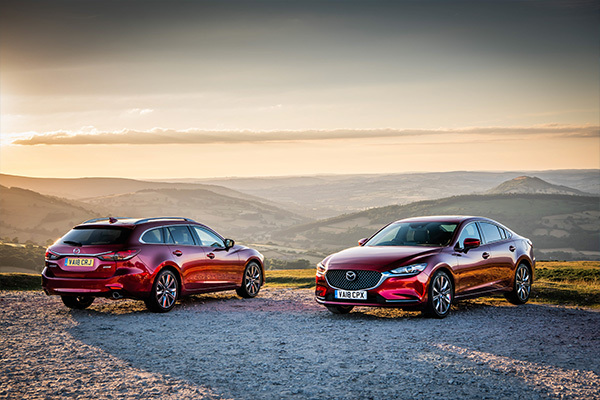 Mazda is working closely with all its partners to ensure the full life-cycle of the vehicle is the best it can be – from technical, safety and environmental perspective.